When a hard drive fails or a computer stops responding, you need a safe, efficient way to recover important files. Datarecovery.com can help. Our Bay Area facility provides industry-leading services for San Francisco, San Jose, Oakland, and the rest of the West Coast. We operate a full-service data recovery laboratory staffed by experienced engineers and equipped with a full array of state-of-the-art data recovery technologies, and unlike many of our competitors, we recover every case onsite without outsourcing procedures to other laboratories. We opened our San Francisco Bay Area data recovery location to better serve the needs of our growing West Coast client base. Dozens of major technology companies are based in Pleasanton, as the city offers easy access to the rest of the Bay Area. Over the last decade, Datarecovery.com has provided services for thousands of local clients including Ecast, San Jose State University, Marriott International, Cisco Systems, IBM, Agilent Technologies, and Hitachi. By operating a full-service laboratory in Pleasanton, we are able to recover hard drives, solid-state drives, data cartridges, RAID arrays, and various other media without the security risks and turnaround extensions that can occur when media is shipped cross-country. 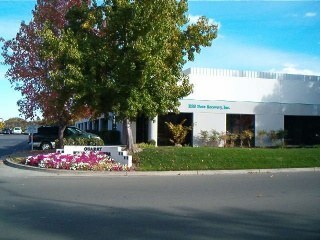 Datarecovery.com has a Class 5 Cleanroom, and we recover all data in this certified environment. We also offer the Bay Area’s most complete set of resources for computer forensics, electronic discovery services, and expert testimony. If you’re experiencing a digital storage device failure, you need a data recovery specialist who you can trust to return your information to you securely, quickly, and effectively. Datarecovery.com gives you a completely customizable set of options, and all of our facilities provide a no data, no charge guarantee. For further inquiries or to set up a free media evaluation at our Pleasanton data recovery facility, call 1.800.237.4200 or complete the quick form here. Have us speak or provide a quote, we’re media friendly. “Thanks…did a random file open looks good thus far. Also added my outlook .pst files and all worked as advertised. I will say all is good…it would take weeks to try all the files.